This is another very easy everyday wear. 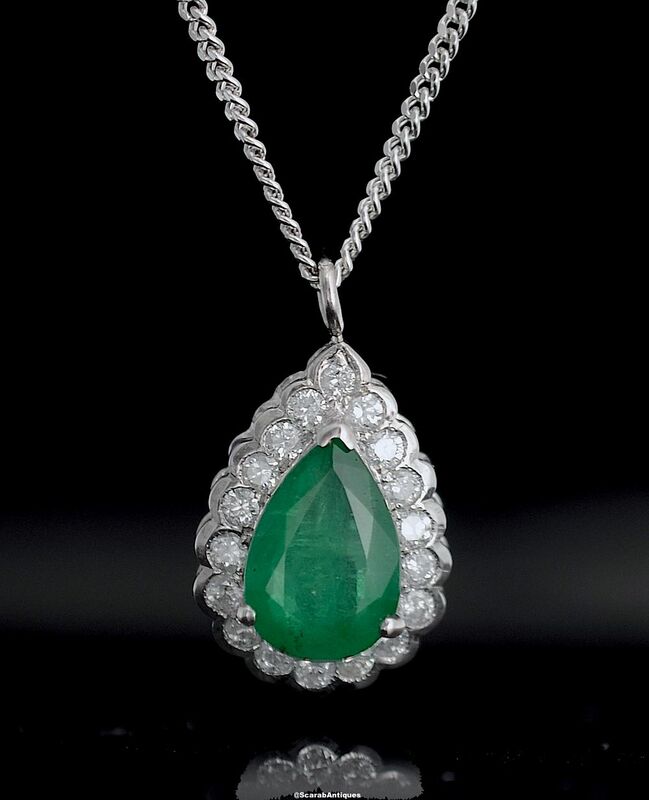 The 18ct white gold pear shaped cluster pendant has a pear shaped emerald set in the centre of a diamond set surround. The pendant hangs on an 18ct white gold chain.